The CCMA has found itself in the very unusual position of being the ‘real’ respondent in application proceedings in the Labour Court. The CCMA’s Supply Chain Manager was placed on special leave pending his possible precautionary suspension on full pay. Being a member of senior management it was believed he needed to be absent from the offices during a further investigation into alleged procurement irregularities. When he applied to the Labour Court for various orders he had not been presented with any allegations. He sought a final order declaring that his suspension was invalid and an unfair labour practice. Acting justice Sean Snyman in Mayaba v CCMA (J2204/2014)  ZALCJHB 364 (19 September 2014) refused to grant any orders against the CCMA and awarded costs to the CCMA as well. Given the thoroughness of the reasons and the references to numerous earlier cases it has been decided to repeat the entire judgment but will footnotes omitted and hyperlinks included, courtesy of Saflii. Although the name of the CCMA often appears on judgments in this Court, this matter is one of the few occurrences where the CCMA has actually come before this Court not in capacity as body responsible for dispute resolution, but as the employer itself. It is rather a unique experience. This being said, the applicant, as an employee of the CCMA (being the current first respondent), has brought an urgent application in terms of which the applicant seeks to challenge his suspension by the first respondent. The applicant is seeking final relief, in the form of an order declaring that his suspension by the first respondents was invalid and an unfair labour practice. The applicant then seeks consequential relief in the form of an order that his suspension be set aside with immediate effect pending the finalization of possible disciplinary proceedings against him. The applicant, in his notice of motion, has also asked for a mandamus against the first respondent, in which he seeks an order to enroll the applicant’s unfair labour practice dispute and unfair discrimination disputes that he referred to the CCMA for conciliation in terms of the LRA, on 15 August 2014, for hearing within the 30 day conciliation time limit prescribed by the LRA. The applicant brought this part of the application because the CCMA only enrolled conciliation on 9 October 2014 in respect of these disputes. However, and having regard to the fact that this matter only came before this Court on 18 September 2014, the 30 day time limit has in any event already passed. Mr Malatsi, representing the applicant, conceded that this relief is no longer competent, and the applicant no longer persists with the same. I shall accordingly not consider this issue. The applicant has also sought a mandamus in the form of an order that any disciplinary proceedings against him must not be allowed to proceed until the other employees of the first respondent mentioned in the forensic report relating to this matter are also ‘fairly suspended’. Although Mr Malatsi conceded that the relief sought in this paragraph has no foundation in law, he did not abandon the same, and consequently I shall deal with this relief sought as well in this judgment. A proper consideration of the affidavits in this matter fortunately reveals that very little facts are in dispute. Most of the factual matrix giving rise to this application are either undisputed, or common cause. The disputes however arise in the context of what inferences should be drawn from these facts. In my view, nothing the respondents have said in their answering affidavit can be considered to be bald or fictitious or implausible or lacking in genuineness. The issues raised by the respondents in the answering affidavit are properly raised, with the necessary particularity. There is no basis or reason for me to reject anything said in the answering affidavit. I thus intend to determine this matter on the basis of the admitted (common cause) facts as ascertained from the founding affidavit, the answering affidavit and the replying affidavit, and as far as the disputed facts and inferences are concerned, on what is stated in the respondents’ answering affidavit. On this basis, I will set out the background facts hereunder. As a final introductory comment, and because this matter concerns the granting of final relief, the applicant must satisfy three essential requirements which must all be shown to exist, being: (a) a clear right; (b) an injury actually committed or reasonably apprehended; and (c) the absence of any other satisfactory remedy. I will now proceed to consider whether the applicant has satisfied these requirements. The applicant is still currently employed by the first respondent as its supply chain manager. The applicant commenced employment on 1 September 2011. It is clear that this is a senior position at the first respondent and the applicant is in fact part of the first respondent’s senior management. Unfortunately, the applicant has not attached his contract of employment to the application. In addition, the applicant has not provided any particulars of how disciplinary and related proceedings are actually conducted in the first respondent where it comes to its own employees. The applicant has, in simple terms, not disclosed the relevant terms of the first respondent’s disciplinary code and procedure and his own contract of employment. The catalyst for the events giving rise to this matter occurred when the first respondent, on 31 July 2014, received an interim forensic audit report relating to irregularities in the procurement of suitable leased premises to be occupied by the first respondent in the Western Cape. It was undisputed that the applicant was involved in such procurement. The report suggested various irregularities in such procurement. The report further, on face value, implicated the applicant in some of these irregularities. I say nothing about the accuracy or veracity of the report and need make no findings in this regard. Significantly, and to date, the applicant has actually not been charged with misconduct as a result of this report. As Mr Makapane, who represented the respondents said, the report was that which convinced the first respondent to conduct its own internal investigation into whether some of its employees, including the applicant, was involved in any misconduct in this regard. In the end, the only relevance the report has in this matter is not its content, but the mere fact that its existence spurred the first respondent into conducting its own internal investigation and that this would inter alia relate to the applicant. Having received this report on 31 July 2014, the applicant was called to a meeting with the chief financial officer (Ntombi Boikhutso) and the human resources manager (Joseph Mathebula) of the first respondent. In the meeting, the applicant was informed that he would be placed on special leave with immediate effect. The applicant was presented with a letter, dated 31 July 2014 and signed by the second respondent, the gist of which was that the applicant was placed on special leave whilst the first respondent was considering whether to suspend the applicant, and whilst the first respondent was conducting an investigation into possible misconduct on the part of the applicant. The letter gave 5 concerns the first respondent had about the applicant and which were to be investigated. The applicant was required to leave the workplace immediately. Of particular relevance to this matter, the letter dated 31 July 2014 specifically recorded that the first respondent was contemplating suspending the applicant, and he was given an opportunity to file representations by 5 August 2014 to show cause as to why he should not be suspended. On 4 August 2014, the applicant wrote to the second respondent complaining that the allegations against him were ‘broad and vague’ and that he was consequently unable to respond thereto. The applicant asked for ‘detailed allegations’ before he could respond. The applicant contended he was being unfairly treated by being placed on special leave. After asking for further time to respond, and on 14 August 2014, the first respondent, by way acting director at the time, Afzul Soobedaar, answered the applicant’s letter of 4 August 2014, setting out three principal considerations where it came to the reasons as to why the applicant was placed on special leave. The applicant was asked to submit reasons why he should not be suspended by 20 August 2014. On 15 August 2015, the applicant referred two disputes to the CCMA (not in the capacity as his employer). The first dispute was an unfair labour practice dispute, in which the applicant contended that being placed on special leave without valid reason was an unfair labour practice. The second dispute was an unfair discrimination dispute, in which the applicant contended that he believed he was being placed on special leave ‘due to the colour of my skin’. Despite these dispute referrals, the applicant did make submissions on 19 August 2014 as to why he should not be suspended. The applicant in these submissions addressed the three main concerns he had been informed of, above. The applicant added further submissions relating to, in essence, that the transaction had been previously approved of, that all supply chain procedures had been followed, and that the investigation report was irregular and unfair. I do not intend to dwell on the contents of these submissions, as it simply is not relevant for the purposes of this application. The fact remains that the applicant did make fairly detailed submissions. It was undisputed that the first respondent considered these submissions. On 28 August 2014, a letter was drafted and this was signed on 29 August 2014 by the second respondent. This letter recorded that the applicant’s representations were considered, but it was decided that the first respondent would proceed in suspending him. Of some importance to the matter now before him, the letter recorded that the applicant was being suspended because his presence at work would prejudice the ongoing investigation that was taking place at the time. It was further recorded that considering the nature of the allegations involved, it was not desirable for the applicant to be present at the workplace. The applicant was specifically informed that the suspension was a precautionary suspension pending the outcome of a formal disciplinary process in which the applicant will receive a full and proper opportunity to answer any allegations against him. In an internal memorandum addressed to CSC’s and department heads on 29 August 2014, these employees were briefed in short on the salient issues surrounding the Cape Town lease, and it was recorded that the supply chain manager (the applicant) was placed on special leave pending an investigation. The applicant complained about this last statement, but it is clear that this statement was factually correct in all respects. As at 29 August 2014, the applicant was not yet suspended, as it was undisputed that the suspension letter, despite being dated and signed on 28 and 29 August 2014, was only presented to him on 1 September 2014. Following the presentation of the letter of suspension to him on 1 September 2014, the applicant then, on 11 September 2014, brought the urgent application to the Labour Court, which is the application now before me. Mr Malatsi confirmed to me in argument that the applicant had not challenged his actual suspension as an unfair labour practice to the CCMA, as the applicant has lost all hope and confidence that the CCMA would deal with it fairly. In substantiation for this contention, Mr Malatsi referred me to the fact that the two earlier disputes referred by the applicant to the CCMA on 15 August 2014 was only set down for 9 October 2014, when the CCMA was legally required that conciliation be set down in 30 days, and as far the applicant was concerned, this showed the CCMA’s mala fides. In Member of the Executive Council for Education, North West Provincial Government v Gradwell the Labour Appeal Court confirmed the jurisdiction of the Labour Court to entertain urgent applications specifically relating to the challenge of suspensions, but said that it should only be entertained the case of ‘…. extraordinary or compellingly urgent circumstances’. Therefore, and in deciding whether to afford the applicant relief, I must consider where there are any extraordinary circumstances present. I will deal with this hereunder. Based on that the Court said in Jiba, and where it concerns the general Rule 8 considerations of urgency, I am satisfied that the applicant has made out a sufficient case of urgency. The applicant was only actually suspended on 1 September 2014. The period of some 7 working days taken for the applicant to take advice on what he needed to do and for this application to be prepared, settled, signed, served and filed, is not unduly excessive, and can be considered to be sufficiently prompt action. I further point out that both parties have had the opportunity to fully state their respective cases in the pleadings and in argument, and it is in the interest of justice that this issue now be finally determined. I thus conclude that there are sufficient grounds to finally determine this matter as one or urgency. But whether exceptional circumstances indeed exist is an entirely different matter. From the outset, I specifically asked Mr Malatsi to indicate to me where the applicant’s clear right in this matter lay. In other words, on what legal basis did the applicant challenge his suspension? According to Mr Malatsi, the applicant has a right to be fairly treated in terms of his contract of employment. Mr Malatsi stated that general considerations of fairness and equity must apply where employees such as the applicant are suspended, and this entails that such employees, prior to suspension, must be presented with proper particulars and information about the allegations of misconduct against them, they must be given a proper and fair opportunity to be heard, and then only, if the employer still decides to suspend the employee, they must be given proper and substantiated reasons for having been suspended. According to Mr Malatsi, this right to ‘fairness’ must be inferred or infused into the employment contract by virtue of the provisions of the LRA and the Constitution. In short, the case of the applicant was that applicant has the right to fairly treated when being suspended, and in casu, this did not happened. In the current matter, it is undisputed that the suspension of the applicant was instituted as a precautionary measure. It is equally undisputed that currently, an investigation is still ongoing and that no actual charges have as yet been brought against the applicant. The first respondent has said, and I accept this, that the applicant is suspended because it was feared that his presence at work could interfere with or hamper or prejudice the ongoing investigation. The aforesaid being the case, and in deciding whether the applicant has the right to fairness prior to suspension as he contends, it must firstly be considered what exactly the nature of precautionary suspension is. Precautionary suspension is not discipline. By implementing precautionary suspension on an employee, the employer is not disciplining the employee. The only instance where suspension is discipline of an employee is where the suspension is imposed as an actual disciplinary sanction imposed pursuant to disciplinary proceedings. Where suspension is imposed as a precautionary measure, this is a prelude to possible disciplinary action, but not disciplinary action itself. The point in time when the employee is then actually subjected to discipline, is when the disciplinary action itself is commenced by way of the employee being called on to answer specified allegations of misconduct. This is done by way of a notification of institution of disciplinary proceedings, and this notification then identifies the allegations the employee must answer. Prior to furnishing this disciplinary hearing notification, and where there is a pending investigation, there is no finality as to the actual misconduct the employee must answer for or even if there is indeed misconduct the employee must answer for. It is the outcome of the investigation that determines what the employee must answer. Accordingly, any suspension of the employee pending this investigation preceding the actual institution of disciplinary proceedings, simply cannot be the actual conduct of discipline itself. This suspension has a specific and rational purpose, being to mitigate further risks and prejudice to the employer in the conduct of the investigation, and therefore, in simple terms, to advance and protect the investigation against possible interference by employees being investigated. This is, as a matter of common sense, exactly what ‘precaution’ would be. I fully agree with this reasoning. In my view, this succinctly articulates the very purpose of what precautionary suspension is. This has to mean that at the level of general principle, precautionary suspension is a unilateral act by the employer which need not be preceded by the application of the principle of audi alteram partem, which would include the right to be heard, the right to full particulars, and reasons. But, as always, general principles are not the alpha and omega. Like most such unilateral acts, these kind of acts are not immune from legal challenge. What is critical however, is the foundation of the challenge. In other words, what can properly form the legal basis for a legal challenge of precautionary suspension? In my view, three such legal grounds exist, which I will now set out. Firstly, a suspension can be challenged on the basis that it is invalid. This would be the case where the very imposition of the suspension per se is ultra vires the powers of the functionary effecting the suspension. Another example in this regard would be where specific regulatory provisions of the employer in the workplace do not permit the act of suspension or even prohibit it. In such instances, the suspension is ultra vires, and accordingly invalid. An Illustration of these kind of instances can be found in Sephanda and Another v Provincial Commissioner, SA Police Service, Gauteng Province and Another which concerned a precautionary suspension implemented when the disciplinary hearing itself was already well underway, and precautionary suspension was thus no longer permitted. Another illustration is found in Mbatha v Ehlanzeni District Municipality and Others which concerned a delegation of the power to suspend to the mayor when this power was not capable of being so delegated. The applicant, in casu, has not made out a case of invalidity. There is no evidence or contention of any regulatory provisions in the first respondent prohibiting suspension, or that the second respondent who signed and issued the suspension letter was not allowed to suspend the applicant. Accordingly, the applicant’s basis of legal challenge of the suspension cannot resort under this category. Secondly, a suspension can be challenged on the basis that it is unlawful. Unlawful suspensions in fact have often featured before the Labour Court. A pertinent example is where the right or power of an employer to effect a suspension is subject to specific regulation that prescribes a designated process that must be followed before suspension can be implemented, and the employer then does not follow or contravenes that process. In simple terms, the unlawfulness is founded in the employer not complying with its own rules. 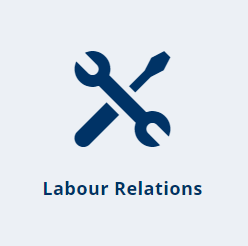 This kind of regulation (rules) can be found in a disciplinary code and procedure, collective agreement, statutory provisions, or other regulatory provisions. This kind of regulation is prolific in the public service as evidenced by the fact that the law reports are permeated with judgments relating to urgent applications by senior employees in the public sector to uplift suspensions on the basis that such suspensions are unlawful. However, and critically, the issue of the lawfulness of the suspension must be based solely on the provisions of the regulatory provisions themselves, as defined in such provisions, and thus would only concern the interpretation and application of these actual regulatory provisions in order to assess and determine whether there is compliance by the employer with the same. In short, if the employer complied with the regulation, the suspension is lawful, but if not, it is unlawful. Fairness and equity is an irrelevant consideration. Again, and in casu, the applicant has made out no case in this regard. The disciplinary code of the first respondent was not placed before me. The applicant has provided no evidence of, nor did he refer to any specific regulatory provisions prescribed in the first respondent, that must first be complied with before his suspension could be implemented. Accordingly, the applicant cannot rely on this legal basis of challenge of his suspension, as well. Therefore, and firstly, the statute (LRA) regulates and determines the issue of unfair suspensions. Secondly, the statute attaches a prescribed process in determining whether a suspension is fair or unfair. The prescribed process is firstly a referral of such dispute to the CCMA (or bargaining council) for conciliation, and if the dispute remains unresolved, the matter is then referred to the CCMA (or bargaining council) for arbitration. It is in terms of this prescribed process and in these forums that all the provisions of the general right to fairness, which would include the application of the provisions of the audi alteram partem principle, would find application. The applicant has conceded that he has not, as at date of this application, challenged his suspension as an unfair suspension to the CCMA in terms of the provisions of the LRA. I must say that I have found the applicant’s case to be somewhat contradictory. On the one hand, and in paragraph 2.6 of the notice of motion, the applicant specifically relies on the provisions of section 186(2)(b) of the LRA, where he asks that his suspension be declared to constitute an unfair labour practice. In simple terms, he is asking this court to decide an unfair labour practice instead of the CCMA. On the other hand, the applicant does not rely on an unfair labour practice per se, but on a general right of fairness and equity to be inferred into his contract of employment based on the provisions of the LRA and the Constitution. In the interest of proper determination of this matter, I will however deal with both these grounds raised, hereunder. I will firstly deal with, and describing it in its simplest terms, the issue of implied fairness that must be adhered prior to and in effecting suspension. As I have touched on above, the Court in Koka said that there was not a right to be heard prior to precautionary suspension being effected, and the Court in that judgment described this kind of suspension to be a ‘holding operation. This approach in Koka was followed in a number of subsequent judgments, and I for example refer to Mabilo v Mpumalanga Provincial Government and Others  8 BLLR 821 (LC) , Perumal v Minister of Safety and Security and Others  8 BLLR 953 (LC), and SA Municipal Workers Union and Another v Nelson Mandela Metropolitan Municipality and Others (2007) 28 ILJ 2804 (LC). However, and in two judgments of the SCA in Old Mutual Assurance Co SA Ltd v Gumbi and Boxer Superstores Mthatha and Another v Mbenya, the suggestion was made that the common-law contract of employment had been developed in accordance with the Constitution to include a right to a pre-dismissal hearing to be inferred into the contract itself. This meant, simply put, that the right to a fair labour practice had to be inferred into the contract of employment, and this seems to support what Mr Malatsi is submitting on behalf of the applicant. Based on the above, it would seem that the argument by Mr Malatsi for the applicant has proper substance. But, unfortunately, that is not where the story and analyses ends. The judgment in Mogothle did constitute the prevailing law for some time after being handed down in 2009, and was followed in a number of further judgments, being that of Dince and Others v Department of Education, North West Province and Others , Baloyi v Department of Communications and Others , and Police and Prisons Civil Rights Union on behalf of Masemola and Others v Minister of Correctional Services . This meant, in simple terms, that the right to a hearing, information and reasons was read into the contract of employment and regulatory provisions governing suspension of employees, and the failure to afford employees these rights was then determined to be unlawful conduct by the employer, because of simply being in contravention to this implied right to fairness. Not only am I bound by the above reasoning in McKenzie, but I respectfully agree with the same. Any reliance on the judgments of Gumbi and Boxer Superstores so as to establish a right to be heard, right to information and being given reasons where it comes to suspension of an employee, being implied into the employment contract of the employee, is entirely misplaced, and these judgments cannot serve as substantiation for such a conclusion. It therefore follows that the right to a fair suspension does not arise from the employment contract and cannot be implied into it. That has to mean that the right to a fair suspension is firmly grounded in the LRA and can only be determined by way of the provisions of the LRA. This finally also means that the enforcement of this right is subject to all the limitations and prescriptions in the LRA. As Mr Malatsi also referred to the Constitution as a basis for his contention of an implied right to fairness in the employment contract, the simple reality is that the general right to a fair labour practice as found in section 23(1) of the Constitution cannot be so relied upon. Direct reliance on the fundamental rights as contained in the Constitution is impermissible when the right in issue is regulated by legislation, as is actually the case with the LRA, which directly regulates the right to fair labour practices (and this includes suspension). In SANDU v Minister of Defence and Others the Court held that ‘…. where legislation is enacted to give effect to a constitutional right, a litigant may not bypass that legislation and rely directly on the Constitution without challenging that legislation as falling short of the constitutional standard’. This was equally confirmed in similar circumstances to the current matter, in the judgment of the LAC in Gradwell. This effect of this ratio is in my view clear. The applicant, as a matter of principle, cannot approach this Court to have his suspension declared unfair, but can only approach the CCMA in terms of the dispute resolution provision of the LRA. The only exception would be if the applicant is able to show extraordinary or compellingly urgent circumstances. In the end, therefore, the judgment in Mogothle is simply no longer the prevailing legal position. The Court in McKenzie has made it clear that the right of employees to fairness in the employment relationship is fully determined by the provisions of the LRA, and is subject to all the limitations in and processes of the LRA, and cannot be implied into the contract of employment. This would include the issue of precautionary suspension. The judgment in McKenzie was confirmed by the LAC in Gradwell. In the recent judgment of Lebu v Maquassi Hills Local Municipality (1) which was indeed decided after McKenzie, the Labour Court said that ‘I must accept for present purposes that the latest pronouncement of the SCA on the non-existence of a contractual duty of fairness must prevail. Consequently, insofar as the applicant relies on a contractual obligation of fair dealing, he cannot succeed.’ I agree with this conclusion. Accordingly, what the applicant must do to convince this Court to intervene is to show either exceptional circumstances or compelling considerations of urgency. In this regard, and as I will now discuss, the applicant has made out no proper case. ‘…. When dealing with a holding operation suspension, as opposed to a suspension as a disciplinary sanction, the right to a hearing, or more accurately the standard of procedural fairness, may legitimately be attenuated, for three principal reasons. Firstly, as in the present case, precautionary suspensions tend to be on full pay with the consequence that the prejudice flowing from the action is significantly contained and minimized. Secondly, the period of suspension often will be (or at least should be) for a limited duration. …. And, thirdly, the purpose of the suspension – the protection of the integrity of the investigation into the alleged misconduct – risks being undermined by a requirement of an in-depth preliminary investigation. Considering this ratio, and also considering what the Court said in Koka, I am of the view that the applicant, overall, was fairly treated. As soon as the first respondent received the audit report on 31 July 2014, it first sought to mitigate its risks by placing the applicant on special leave the very next day. It is also clear that the audit report motivated an internal investigation by the first respondent into the conduct of its relevant employees and this investigation is in fact ongoing. The first respondent actually communicated with the applicant about his possible suspension and gave proper answers to the questions he asked. The applicant was allowed the opportunity to make representations as to his possible suspension and did so. The first respondent considered these submissions. In the end, the first respondent is justified in conducting an investigation. It is entitled to protect the integrity of the investigation by placing the applicant on precautionary suspension. Finally, the applicant was actually informed his suspension was a precautionary measure. There is simply nothing extraordinary in any of this. ‘The wording is clear. Once an allegation exists that serious misconduct has been committed that is sufficient to trigger the coming into operation of clause 9.1 in particular. The belief that the municipal manager may jeopardize any investigation is in the absolute discretion of the municipality. Therefore the test is subjective. Such belief need not be communicated to the applicant before suspension. I can find no reason why the same considerations cannot apply in casu. The first respondent has made it clear that it has the belief that the presence of the applicant at work could prejudice the investigation. I accept that at this stage, there is some subjectivity prevalent in this belief. But that does not matter. The fact is that there does exist an audit report which indicates the existence of irregularities and does implicate the applicant in some of it. The subject matter of the audit report and following investigation resorts under the scope and duties of the applicant. The first respondent is entitled to conduct a further investigation, and is concerned the applicant may prejudice this investigation. A subjective view against this background is acceptable to substantiate a precautionary suspension. ‘The applicant is the head of the department the respondent intends investigating. During the course of the investigation there is a possibility that the applicant’s subordinates may have to be interviewed, that documents may have to be accessed. The continued presence of the applicant might possibly hinder the investigations. Therefore, and based on all of the above, there is simply nothing grossly or patently unfair in the suspension of the applicant so as to substantiate a contention of exceptional circumstances or compelling considerations of urgency. I am satisfied, on the facts before me, that the applicant was overall, and considering what is required for precautionary suspension to be fair, fairly suspended. The applicant is not entitled to detailed reasons for his suspension. Nor was he entitled to a right to be heard before his suspension. Also, he was not entitled to the detailed information he required. The allegations raised in the audit report was certainly serious. The first respondent was thus entitled to form the belief that it did, and act accordingly. Considering all of the above, I conclude that the applicant failed to establish the existence of a clear right. In short, the applicant has no right to fairness in terms of his contract of employment. The applicant has illustrated no exceptional circumstances or compelling considerations of urgency justifying intervention by this Court. There is simply no reason why the applicant cannot pursue his allegation of unfair suspension in the normal course, and as prescribed by the LRA. The applicant’s application must fail for this reason alone. The applicant has stated that he has deliberately not referred an unfair suspension dispute to the CCMA, in essence because he says has lost faith in the CCMA. The applicant states that the CCMA deliberately did not schedule the conciliations pursuant to his two dispute referrals on 15 August 2014, so as to prejudice him and support his suspension. I find no merit in these contentions. The first respondent has explained that LRA matters concerning its employees are dealt with by and transferred to its national office, and not dealt with in one of the regions, which is what happened in this case. In any event, the applicant had already received, on his own version, the conciliation set downs on 8 September 2014, which is consistent with this explanation of the respondents. Also, and considering the applicant was suspended on 1 September 2014 already, scheduling his disputes for conciliation on 9 October 2014 only, could have no impact at all on his suspension. I may also mention that the fact that conciliation does not take place within 30 days can have no impact at all on any case of the applicant. In fact, and after 30 days, he accrues the right to forthwith pursue the dispute by way of either arbitration or adjudication, as the case may be. The applicant is seeking to attribute untoward motive to the respondents where none exists. In my view, the above contention of the applicant were nothing more than a deliberate design in the current matter to avoid the CCMA dispute resolution processes. This approach of the applicant, as I have said, in unfounded in fact. What the applicant is thus in my view doing, and respectfully using the words of Wallis AJA in McKenzie was to bring a case ‘…. in which there is an attempt to circumvent those rights and to obtain, by reference to, but not in reliance upon, the provisions of the LRA an advantage that it does not confer‘. This Court should be astute in considering what constitutes the true basis for the challenge by an applicant of a suspension so as to not ‘…. allow the legislative expression of the constitutional right to be circumvented by way of the side-wind of an implied term in contracts of employment.’ In the current matter, the case of the applicant is really one of alleged unfairness, and as such, the statutory prescribed alternative remedy in terms of the LRA must apply. This leaves only one issue to consider. Mr Malatsi submitted that the CCMA is not like any other employer. Mr Malatsi stated that because of the nature of the functions of the CCMA, and its role in the employment dispute resolution environment, it should be held to higher standards than all other employers. In a nutshell, the contention of Mr Malatsi was that all the legal principles that apply to all other employers, as set out above, cannot apply to the CCMA, and because of its nature, everything the CCAM does vis-à-vis its employees must be automatically infused with fairness. This same motivation was also advanced by Mr Malatsi for the applicant asking this Court to determine his suspension as an unfair labour practice rather than the CCMA. Mr Makapane for the respondents refuted these contentions. He submitted that there is a clear distinction between the CCMA as an employer of its own personnel and the CCMA as statutory dispute resolution body in terms of the LRA. Mr Makapane submitted that the CCMA as employer of its own personnel is just like any other employer. Mr Makapane further added that the CCMA would in any event in its dispute resolution functions with regard to the actual disputes pursued by the applicant in terms of the LRA, to the CCMA, use an independent panel it had approved for such very purposes (meaning dealing with employment disputes of its own employees). I have already said that I think much of the applicant’s case with regard to his alleged concerns about the partiality and mala fides of the CCMA is that of a deliberate design to suit his purposes in this application, rather than a genuine concern. In fact, and using the applicant’s own reasoning, if any employer is able to rise above internal considerations and mala fides, it would be the CCMA. Therefore there is no reason not to accept that the CCMA will properly deal with any dispute the applicant may wish to submit to it, in its capacity as dispute resolution forum in terms of the LRA, and I accept that it would ensure fairness by using this independent panel referred to. I also agree with Mr Makapane’s contentions that a clear distinction must be drawn between the CCMA as employer on the one hand, and the CCMA as dispute resolution functionary in terms of the LRA on the other. In my view, the CCMA has two distinctive parts. The first part relates fulfilling the functions bestowed on it by virtue of the LRA, through commissioners. The second part is that in order to effectively and properly provide these functions, there must be a proper support structure. The vast array of commissioners and dispute cases spread across the entire country in a number of offices and regional offices must be managed, administered and supported. Infrastructure must be provided, controlled and managed. As to this second part, this is no different to the functions of any other employer managing, administering and controlling its business. If I may describe it simply – the business of the CCMA is dispute resolution through commissioners, and it manages such business using its own employees such as the applicant just like any other employer. The Court in Zimema in fact concluded that the dispute resolution process in section 191 remained peremptory. I agree with this reasoning. It is a manifestation of the separation of the two parts of the CCMA. The fact is that any commissioner dealing with the matter is a ‘knowledge outsider’, especially considering the use of the independent panel referred to. As an illustration that a dismissed employee of the CCMA can still receive relief and succeed in his or her case, Mr Makapane also referred to Maepe v Commission for Conciliation, Mediation and Arbitration and Another where a dismissed convening senior commissioner of the CCMA was found to have been unfairly dismissed. The simple fact is that the applicant cannot pre-judge what may happen at the CCMA. He must follow the process prescribed by law. If the CCMA does provide him with justice, where it is shown to be deserved, the applicant has recourse to the Labour Court and possibly Labour Appeal Court as well. The applicant has also mentioned that some of the employees implicated in the audit report were not suspended as he was. The problem with the applicant’s case in this regard is, simply, that he actually made out no case. He did not identify these employees and he provided no factual foundation for any conclusion that these employees are in fact equally responsible and comparable to him but were not suspended. The applicant, so to speak, not only did not compare apples with apples, but in fact conducted no proper comparison at all. In any event, suspension as I have said is not discipline, and this issue can be competently raised in any disciplinary proceedings against the applicant on the basis of a defence of inconsistency. Therefore, I conclude that the applicant has proper alternative remedies available to him. He has the statutory dispute resolution process actually prescribed by the LRA where the issue of the fairness of his suspension, coupled with proper consequential relief, can be adequately addressed. The applicant also had the disciplinary proceedings (if instituted) in which he can ask for any information he may need to properly conduct his case, and then properly state his case and raise any defences he wants, including that of inconsistency. The applicant has accordingly also not satisfied the interdict requirement of the absence of a suitable alternative remedy. ‘A worrying trend is developing in this court in the last year or so where this court’s roll is clogged with urgent applications. Some applicants approach this court on an urgent basis either to interdict disciplinary hearings from taking place, or to have their dismissals declared invalid and seek reinstatement orders. In most of such applications, the applicants are persons of means who have occupied top positions at their places of employment. They can afford top lawyers who will approach this court with fanciful arguments about why this court should grant them relief on an urgent basis. An impression is therefore given that some employees are more equal than others and if they can afford top lawyers and raise fanciful arguments, this court will grant them relief on an urgent basis. ‘The issue is not one of jurisdiction. It is one of competence. As I have set out above, the Labour Court will by virtue of the provisions of Section 158(1) of the LRA always have jurisdiction to interdict any form of disciplinary proceedings or grant interim relief. …. In the light of all the above, the applicant has failed to establish the existence of a clear right. The applicant has also failed to show that he has no suitable alternative remedy. The applicant has not referred a suspension dispute to the CCMA, when the actual challenge of such suspension is firmly founded in fairness. The applicant has shown no exceptional circumstances or compelling considerations of urgency to exist, which would justify intervention by this Court. The applicant’s application must thus fail. This then only leaves the issue of costs. The applicant has elected to approach the Labour Court on an urgent basis when it must have been clear there was no basis for doing so. The applicant was legally assisted from the outset, and clearly knew he could and should pursue his dispute to the CCMA. The applicant in my view designed his case so as to try and avoid the application of the provisions of the LRA, despite still wanting to rely on the general principle of fairness before the Labour Court. Added to this, the bulk of the annexures to the applicant’s founding affidavit and replying affidavit are close on 200 pages of irrelevant documents. Volume does not create merit. There is accordingly simply no reason why costs should not follow the result in this matter. The applicant’s application is dismissed with costs.